From the “HAWKWOOD” , follow the sand until it stops and the white stones and barnacle covered rocks start. 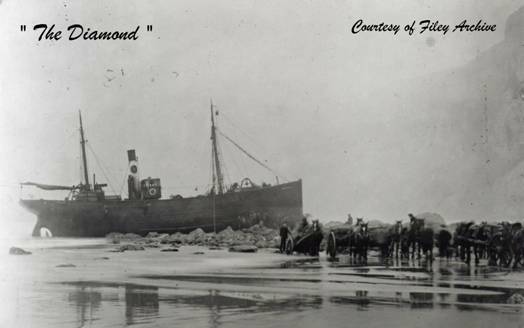 At very low tides it is just possible to walk to the wreck of the “DIAMOND”. Which lies on an outcrop of rocks under Speeton cliffs. Her boiler and Stern-post lie on this outcrop, the last resting place of another Steam Trawler.